I believe in keeping up with pedicures year-round, but that doesn’t mean you have to rush to the nail salon every few weeks to treat yourself. For at-home foot treatments, the biggest thing to remember to do (especially in the winter!) is moisturize, moisturize, moisturize. 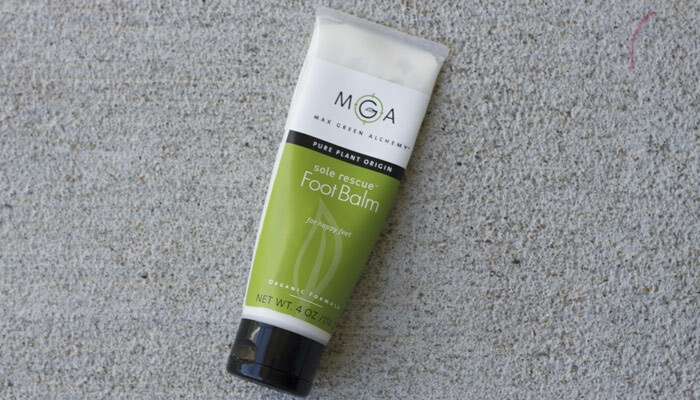 Defeating dry skin is half the battle of having pretty, presentable feet (I’m not sure where you are presenting yours, but mine are exposed during yoga class), and another favorite foot cream in my collection is Max Green Alchemy’s Sole Rescue Foot Balm. 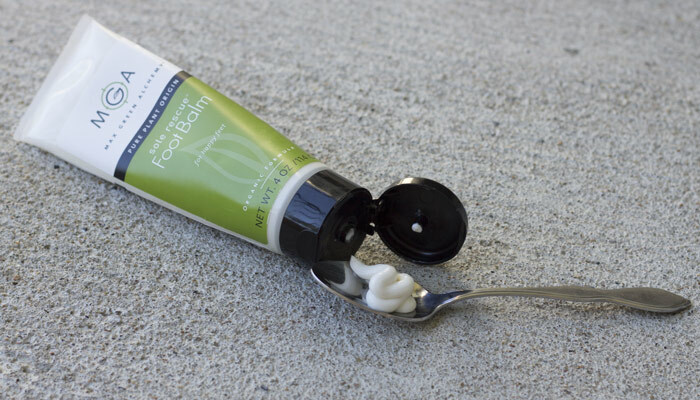 Now I’ve reviewed enough foot balms to be able to say similar things: It’s thick, moisturizing, luscious — but what makes Max Green Alchemy’s foot balm extra special to me is its super-clean smell and texture. I’m never against an overly greasy foot balm (I put socks or slippers on over my feet post-moisture/massage), but Max Green Alchemy’s Sole Rescue Foot Balm has a nice dry finish that is still incredibly moisturizing. You could massage this in, let it dry for a few minutes and then walk around cat-hair-covered-carpet and not have too much debris sticking to your feet! My point is that this foot balm isn’t greasy yet has a creamy, thick texture that is a joy to massage into your tired feet. The fresh, green scent reminds me of tea tree oil, yet that ingredient is further down on the list. It’s got a nice balance of other rich essential oils to add some depth to the aroma — think clove, lavender, cedarwood and peppercorn — that gives it an earthy, spiced greens scent. Another relatively basic yet important aspect of Max Green Alchemy’s Sole Rescue Foot Balm is the packaging. Is it revolutionary? No. Is it efficient? Yes. Is it hygienic? Chyeah. I love a good squeeze tube with a cap on the bottom so gravity can do it’s thing and help push every bit of product to the bottom. Plus, this keeps other people’s grubby little fingers out of the goods. 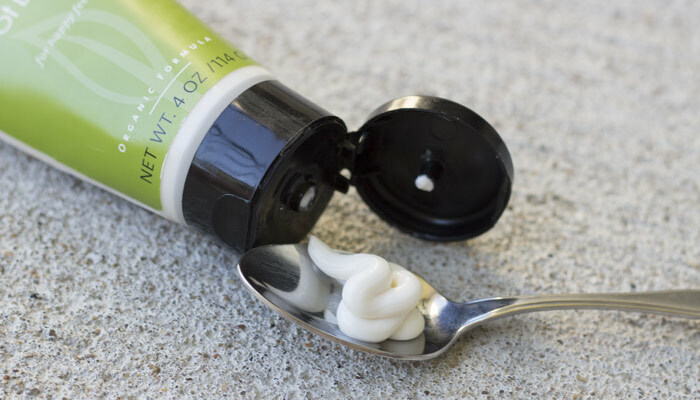 Bottom line on Max Green Alchemy’s Sole Rescue Foot Balm: It’s a repurchase! The price is fair, the packaging is smart and the actual product is great for anyone in your household. Now, go take care of your feet! Just because it’s winter doesn’t mean that your tootsies should suffer. Have you tried anything from Max Green Alchemy? What are your favorite unisex-scented foot creams and balms? Tell me in the comments section!